1. What is an analytical balance? 2. 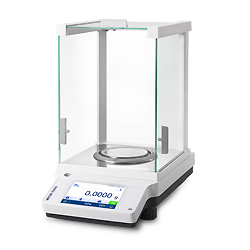 Where are analytical balances used? What are the application areas of analytical balances? 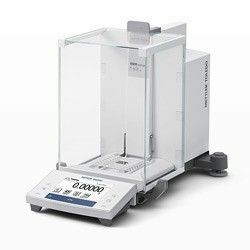 An analytical balance scale, often called a "lab balance", permits quantitative analysis of a sample. 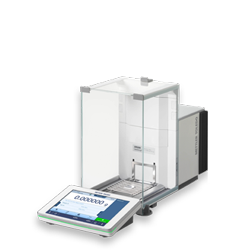 Typical applications of an electronic analytical balance include: Sample/standard preparation, formulation, differential weighing, density determination, interval weighing and pipette routine testing. 3. How to weigh on an analytical balance? To start a weighing operation, open the door and place a container on the pan using gloves or tweezers.Close the door and wait until the value stabilises, noting the weight. Clear the display by pressing the tare button until it reads 0.0000 g. Add the sample until the desired weight is reached. Close the door and again wait for stability - record the net weight. If the instrument is unplugged for cleaning, allow readjustment time before reuse. 4. What are the effects of static electricity on an analytical balance and how to eliminate static charges? 5. What is analytical balance uncertainty? 6. Why should I calibrate my analytical balance? 6. How should I calibrate my analytical balance? 7. Which tolerances apply to balance calibration? 8. 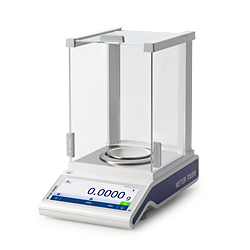 What is the analytical balance minimum weight? 9. Analytical balance accuracy and precision – what is the difference and how to test them?